Are you looking for a job as a travel writer? It’s easier than you think. However, it’s imperative that you know how to research. This the key to finding jobs. Unfortunately, many people do not know how to research. It takes more than typing a few keywords into Google. You may not be passionate about research, but it’s part of the process. If you take a 30,000 feet approach, you will have a better view of the potential job prospects that are readily available. For example, if you blog about health and wellness, apply for blogging jobs in health and wellness. 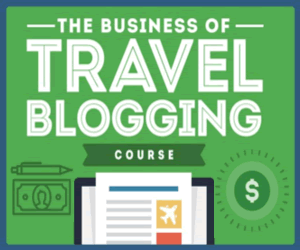 This will give you cash while you’re developing your travel writing. You can leverage additional skills such as graphic design, editing, SEO, web design, and other valuable skills when trying to land a job. Remember, it’s about “what you can do for the organization, not what they can do for you.” Let people know that you use WordPress and that you’re familiar with SEO concepts. This will make you more marketable. Check out our page “Top Travel Writing Job Sites“. The sites listed are our favorites for finding Travel Writing job opportunities. You’ll find jobs in travel writing along with other writing jobs. 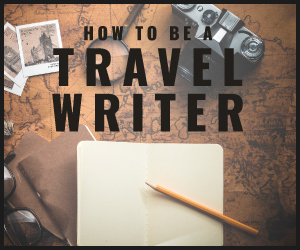 If you also occasionally write on topics other than travel writing, you’ll be in a better position to land a job due to a well rounded portfolio, and you’ll gain practical experience to help improve your writing skills. Other websites to visit are Solo Gig and Online-Writing-Jobs. You’ll find a variety of writing jobs. You may consider taking a full-time or part-time job until your travel writing takes off. Set-up a blog and build a portfolio. You will be asked to send a resume, cover letter (sometimes), and samples. Some employers will ask for links, while others will ask for samples of work in Word Document format. Be prepared — give clients or employers what they are asking for. Services such as Elance and Guru.com are utilized by many freelance writers. You set-up a portfolio that includes basic information about your skills as a writer. You can upload a resume and samples of your work. After you developed your portfolio, you can bid on jobs. If you are chosen, then you work directly with the client. These are some tips that will help you begin your job search. Do not be afraid to apply for jobs if you do not have all of the requirements. Chances are you’ll have transferable job skills to each position. In the meantime — keep writing and traveling!